"This is a tale of arms and a man." on Western civilization, and provides a list of variations from the Oxford text. 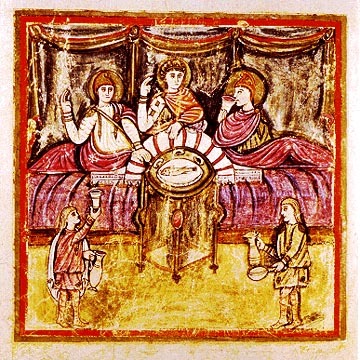 "The Aeneid of Virgil is a gateway between the pagan and the Christian centuries. 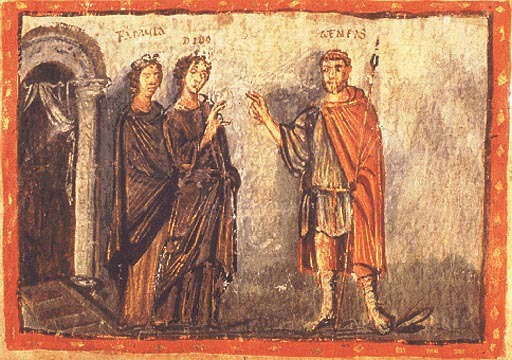 Virgil, who was born in 70 BC and died in 19 BC, left the poem unfinished at his death. That was eight years after the republican government of old Rome gave place to the rule of emperors, and only a few years before the Christian Era started. Virgil is the Poet of the Gate." 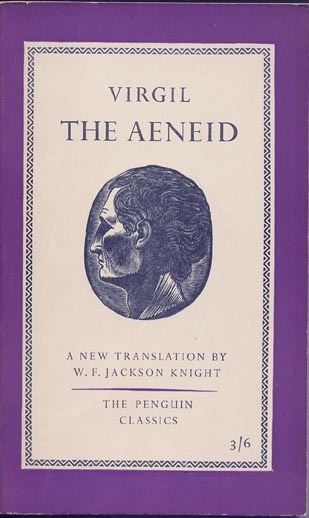 while I was choosing texts for the script for this radio production, I retrieved from my bookshelves a 1956 Penguin paperback: The Aeneid, translated by W F Jackson Knight. In the late-1950s, I was often buying books, more than I could read. the price: three & sixpence. I never did more than dip into it. the people, places, and relationships.